Sometimes I feel so overwhelmed when my alarm sounds on a Monday morning. Five days of busy work ahead, commencing with a shower, a fresh change of clothes and something to give me the energy I need to start the day with a spring in my step. Whizz the first five ingredients in a high powered blender until smooth. Pour into a drinking glass, jar or bottle (if you're on the go), sprinkle with chia seeds and enjoy this chilled super smoothie somewhere peaceful. 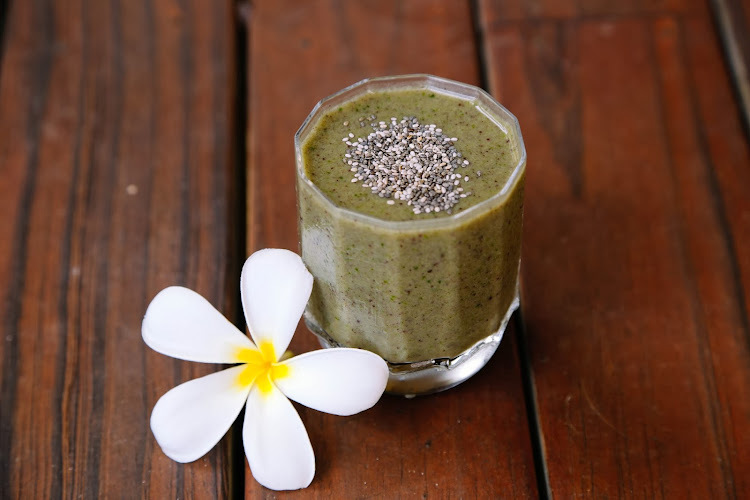 It's thick, cold, naturally sweet and full of all the goodness of bananas, chia and baby spinach plus the added health benefits of acai, which include a powerful combination of antioxidants, amino acids and omegas that help to boost the immune system. It's also a raw and vegan. Ahh the perks of raw super foods! Not the colour you were expecting? Simply add another tablespoon or two of the acai for a richer, deep purple smoothie. 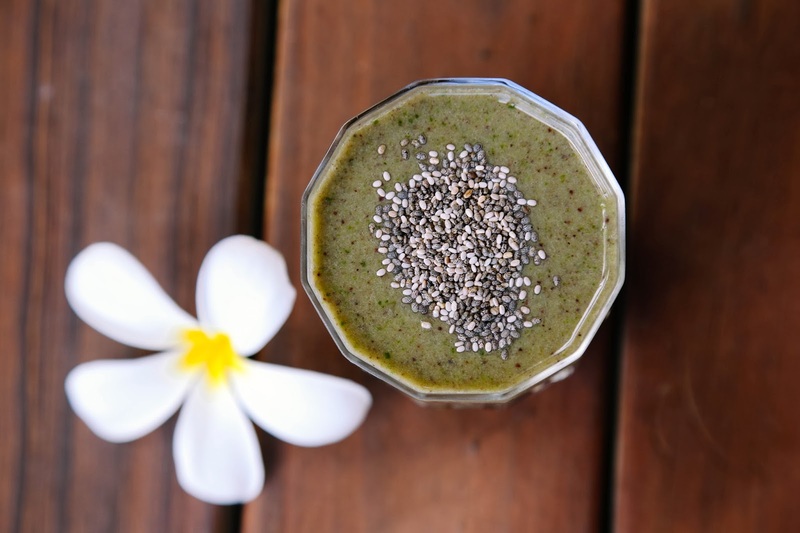 I prefer the subtle flavour from one tablespoon and looooove this smoothie as a pick-me-up for when I'm suffering the Monday blues! Bella, This looks so good! BTW what is acai powder?